I knew I wanted to play with patterned papers so I went through my Doodlebug collection and selected a thin striped pattern in 3 different colours from the dot-grid-daisy stripe rainbow petite prints pad. I used a stitched rectangle die and partial die cutting technique to cut 3 rectangle, same width just different heights. Then I cut a stitched rectangle out of Copic Xpress-it paper and stamped the cute kitty with the cupcake image from Newton Loves cake set, I used Memento Hot cocoa ink instead of my usual black. I also stamped the sentiment in green on the bottom of the panel. I used Copic markers to match the colours of the patterned papers. I added a thin leftover strip from the partial die cutting instead of a ribbon and a die cut bow (Pretty Pink Posh die). A tiny jewel in the middle looked fancy enough as embellishment. I also used a bit of Spectrum Noir Shimmer pen on the cupcake and glossy accent on the stripes of the cupcake holder. I used a dark brown cardstock to create the mats for the different elements and I popped up the focal panel using a thin 3D foam tape. 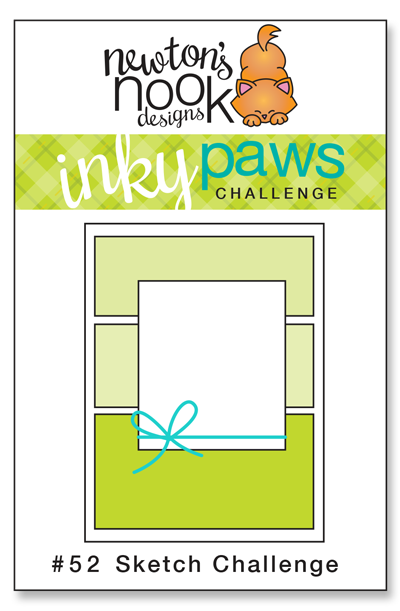 I hope you got inspired and will play along with us in the next 2 weeks on the Inky Paws Challenge. Apart from having fun you can also win a 20 USD gift certificate to the Newton’s Nook Designs online store. I will link this project up to the Simon Says Stamp Wednesday Challenge Anything goes too. Hope to see you soon for another fun project! I am here with a quick post before we start our journey to a small lake with my kids for a day. 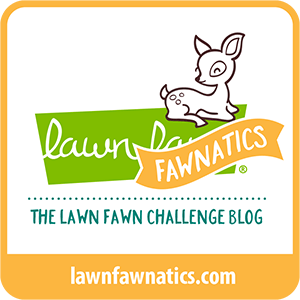 This card I made for the latest Lawnfawnatics challenge #9, I used a bunch of Lawn Fawn products. I started with a cross stitched rectangle cut from Copic friendly paper. I silver heat embossed a sentiment from the Ahoy matey stamp set on the bottom of it. I repeatedly stamped the cocktail glass with the little umbrella from the So Smooth set and coloured them with Copic markers. I matted it with silver and black cardstocks and adhered it to a rainbow plaid paper covered A2 sized card base. A little bit of Spectrum Noir shimmer pen and glossy accent finished off this cheerful card. I will link it up also to the Simon Says Stamp Wednesday Challenge Anything goes. Hope to see you when i am back from a fun day at the lake. I am back today with a birthday card I made for an old friend of mine for her birthday. It was inspired by the current MFT Sketch Challenge #343. I stamped, coloured and die cut the fairy from the MFT Fairy happy stamp set. I used the coordinating die to cut a blank fairy from fun foam to make the image dimensional. I used polka dot patterned paper as the background, added a strip of white glitter tape and a stitched strip of the same dark pink cardstock. 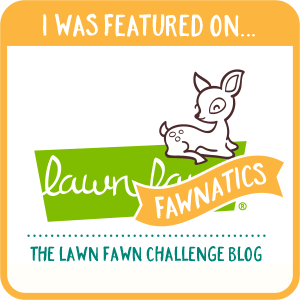 I used the Lawn Fawn Picket fence die for this. I popped up the sentiment banner with 3D foam tape to match the height of the oval frame. A little bit of glossy accent , white gel pen dots, tiny pearls on the flowers and a few white glitter drops finished off this girly card. I will upload this to the Simon Says Stamp Wednesday Challenge Anything goes as well. I am popping in today with a fun-fold card I made using Newton’s Nook and MFT products. 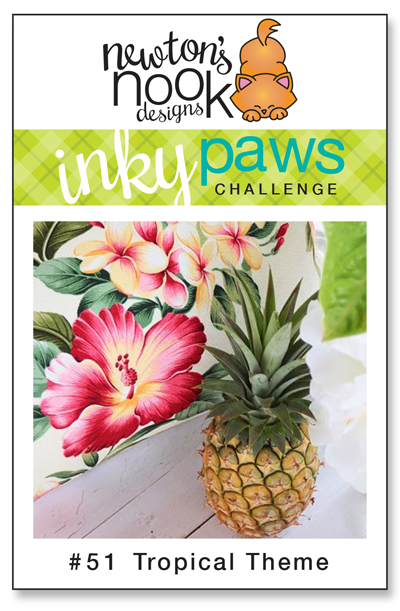 The current Inky Paws Challenge #51 is so fun, the theme is Tropical and there is a little time left if you get inspired to play along! 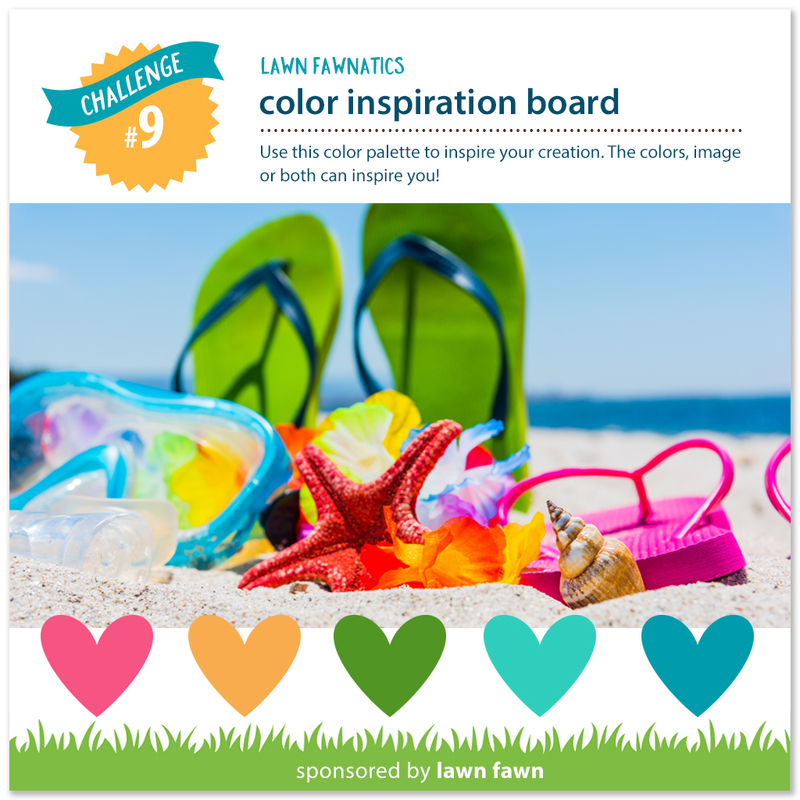 The deadline is tomorrow – so get crafty quickly! I started with creating my fun fold card base using a light green cardstock and a die from MFT (flop card circle). I had an 8.5 x 5.5 inch long cardstock and I placed the die at 2 1/8 inch and ran it through the Big Shot machine. Then I scored the cardstock at the score line the die made and also at 4 1/4 inches. I used patterned paper from Doodlebug and a stitched rectangle die to cut a piece for the inside of my card and using the same flop die I cut a piece also to cover half of the front also. After adhering them in their places I white heat embossed the sentiments from the Aloha Newton set and Newton’s Summer Vacation sets on the outside and inside of the card. I stamped and coloured the cut kitties from the Aloha Newton set on Copic friendly paper and used a stitched circle die for one of them and fussy cut the other one. For the front I made a doll pink scalloped circle mat too. For the inside I made a palm tree with the MFT Beach scene builder die and coloured cardstock leftovers. I added some shading with distress inks. I used 3D foam squares to make the leaves more dimensional and adhered the other kitty under the tree in a way that she is not visible when the card is closed. A little glossy accent on some details finished off the card. I hope you got inspired to try a non-traditional fold on your cards next time. I will upload this card to the Simon Say Stamp Monday Challenge You’ve got the edge and the Simon Say Stamp Wednesday Challenge Anything goes. I started with cutting the Pineapple 2 base die from whit cardstock and the cover part from a sandwich I made from gold foil cardstock + stick it adhesive + fun foam + stick it adhesive. I adhered them together and cut the funky sunglasses from dark brown cardstock 4 times. I glued them on top of each other and with the help of double sided adhesive I added the inner part (only one layer). I filled the glasses with glossy accent for a cool, shiny look. For the background I took a Crafter’s Companion stencil and blended Twisted Citron and Cracked Pistachio Distress Oxide inks on Bristol Smooth cardstock. The sentiment is an Impression Obsession die, cut from dark brown cardstock and matted under some pretty Lawn Fawn plaid patterned paper. 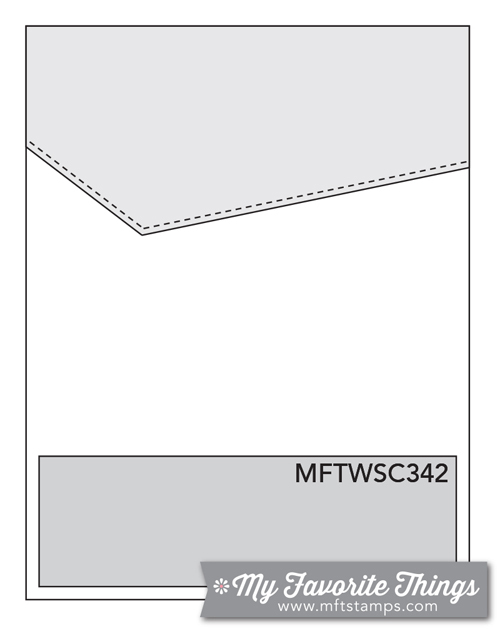 I added a piece of the same paper with a brown mat to the top also to balance the design. After adhering the pineapple in place I filled the empty places with Tonic Nuvo Jewel Drops in yellow and green shades. I let it dry overnight and glued the sunglasses in place the next morning. I love the faux glassy look, in real life it looks gorgeous. I need to repeat this with florals too. I hope you got inspired and will return soon for more ideas. 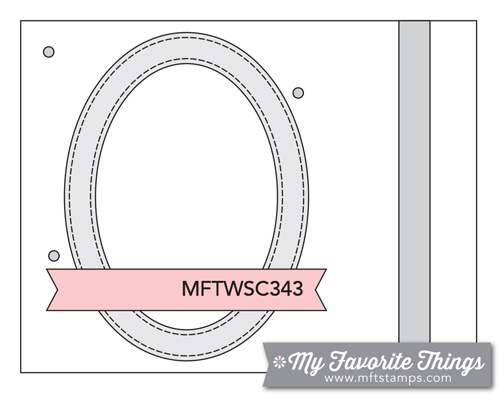 It is my second post for today as I wanted to play along with the current MFT Sketch Challenge #342 before it ends. I started with heat embossing the MFT Whimsical waves background stamp on Bristol Smooth cardstock using Versamark ink and Wow blue glitter embossing powder. I hand cut a piece of it and blended some Distress Oxide inks. Then I went over some of the waves wit the same inks, I smooched them on my craft mat and picked the ink up with my Spectrum Noir Shimmer pen. It made the waves more vibrant and shimmery. For the sunray background I blended Squeezed lemonade distress ink on Bristol Smooth cardstock and temporarily adhered to it the Radiating Rays stencil. I added Mustard seed distress ink then shifted the stencil and applied Wild Honey distress ink. After removing the stencil I blended the edges once more with the Squeezed lemonade ink and filled the sun with Mustard seed ink. A bit of water splatters, dabbed them off with a paper towel and the background was ready. I stamped and coloured the seagulls from the MFT Seaside seagulls set using Copic markers, die cut them with the coordinating dies. I added glossy accents to the beaks and googly eyes on some of them. For the cloud I used a Lawn Fawn border die and the partial die cutting technique to get a similar shape than on the sketch. I also cut some stitched clouds (Lawn Fawn) as extra dimension. I stamped the sentiment from the MFT Mermazing set on the cloud border and assembled the card. A few mini heart confetti finished it off. I hope you like this funny summer card and will return soon for more inspiration. It is time for another inspirational project for the current Inky Paws Challenge #51 Tropical theme. You have until Friday 28th July to play along. 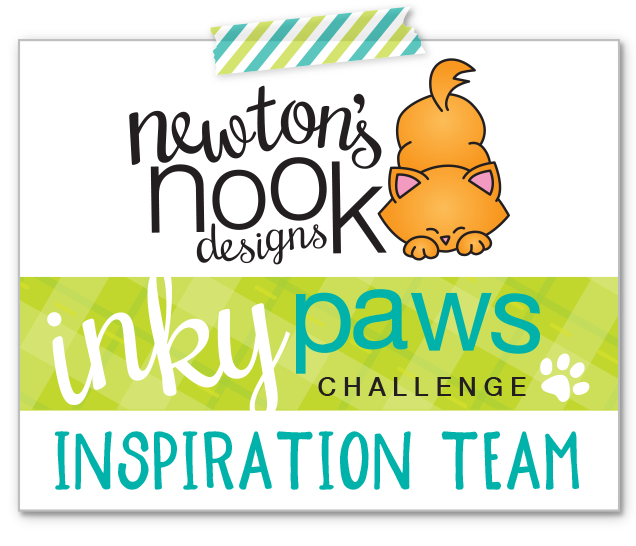 Don’t let it go without creating a project and liking it up on the Inky Paws Challenge blog, as one random winner can win a 20 USD voucher to the Newton’s Nook Designs web shop (awesome service and superfast shipping – even if you are international like me). I could not decide which image to put on my card so I put them all. For this I created a trifold card base: I took a piece of Bristol Smooth cardstock and cut it down to 5 and 1/2 x 12 inches which I could score at every 4 inch after adding ink blending. To create the beach first I masked off a strip for the sky and added Tumbled Glass distress ink. Then I tore a piece of typing paper to make the mask for the beach. I used Antique linen distress ink and made sure my whole panel is covered with a piece of paper before I added some splatters of different brown distress inks. For the sea I blended in Salty ocean and Peacock Feathers distress ink and sprinkled some water on it. I dabbed it off with a paper towel and added Tsukineko Shimmer Mist while my masks were still on so only the water is sparkly. After creating the folds I stamped the sentiments from both sets in black and used a Marwy Snow marker to add the waves to the shore. After heat embossing this it puffs up for a fun look. I hope you like this kitty beach party and will return soon for more inspiration. Follow my blog to make sure you will not miss any of the future posts!